Founded in 1987, Ley Insurance Agency is a leader in providing quality protection for hundreds of individuals, families, and businesses throughout our state. Providing superior customer service and low rates along with our ability to understand our customer’s coverage needs drives the success of our agency. By offering protection for your Auto, Home, Business, and Life Insurance, we make sure that you’re covered today as well as in the future so that you can focus on what is important to you and your family. At Ley Insurance Agency our #1 job is to assist you in identifying your needs and concerns while putting together a plan that’s simple and easy to understand. Why do business with Ley Insurance? You don’t have to lift a finger. 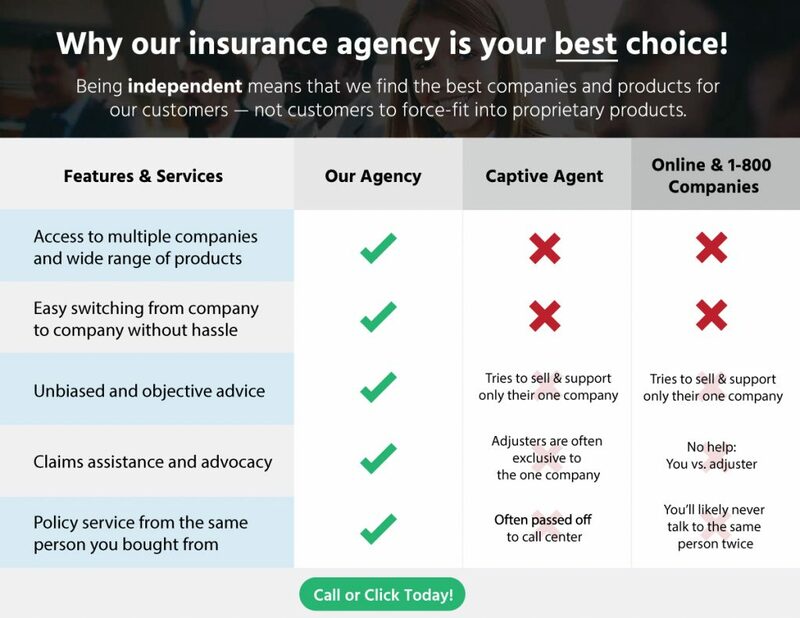 We’ll take your current coverage and provide you with a detailed comparison, showing you all of your available coverage and pricing options. If you’d like to get started with a complimentary quote and/or policy review, we’d be happy to help you any way we can. Simply complete the fields below to get started online in a matter of seconds. We appreciate the opportunity to help you, and look forward to servicing your insurance needs! Feel free to call us directly if you have more detailed questions.